Durham Constabulary and the RSPB are appealing for information following the disappearance of a satellite-tagged hen harrier near Middleton-in-Teesdale. 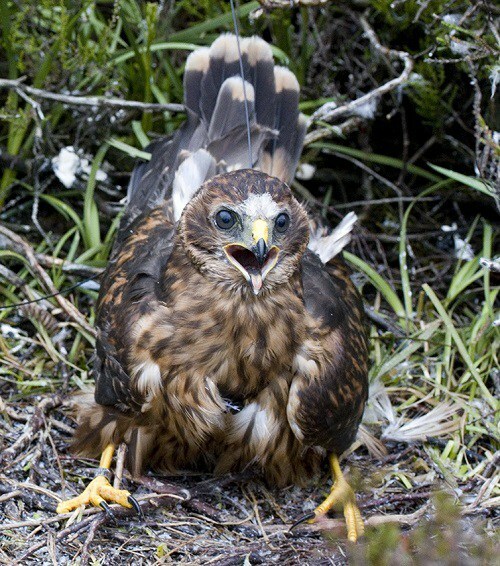 The harrier, named Marc, was one of a nest of two chicks tagged as part of the EU-funded Hen Harrier LIFE+ project in July this year from a nest in the Scottish Borders. Last year there were only three successful hen harrier nests recorded in England. There have been a number of other hen harriers that have gone missing in similar circumstances both in England and Scotland since the tagging project began in 2015. 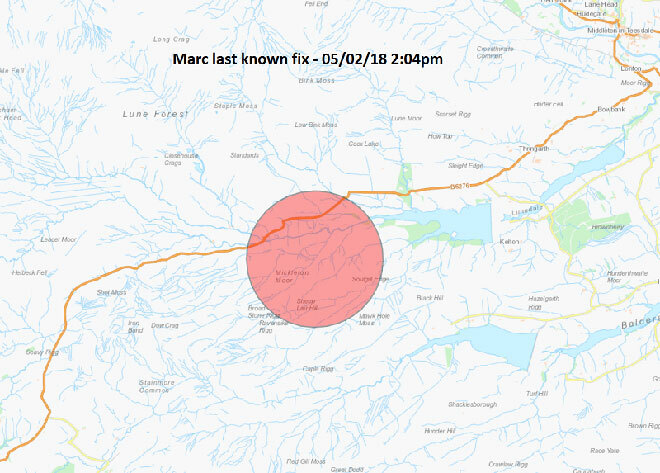 This includes Marc’s brother, a bird called Manu who was tagged in the same nest but went missing in October 2017 with his last known location being close to a grouse moor in Northumberland. I take it that a thorough search has been carried out around this birds last known GPS transmission location as it’s almost one month since this harriers extremely unfortunate disappearance? Just a dark thought, If brood meddling in respect of the Hen Harrier goes ahead by the non ministerial Government agency’s ( Defra & Natural England) Will this be a new way of making it impossible to blame gamekeepers for nest persecution.